The first flats of the week come from Bettye Muller who is a new name to Shoeniverse. 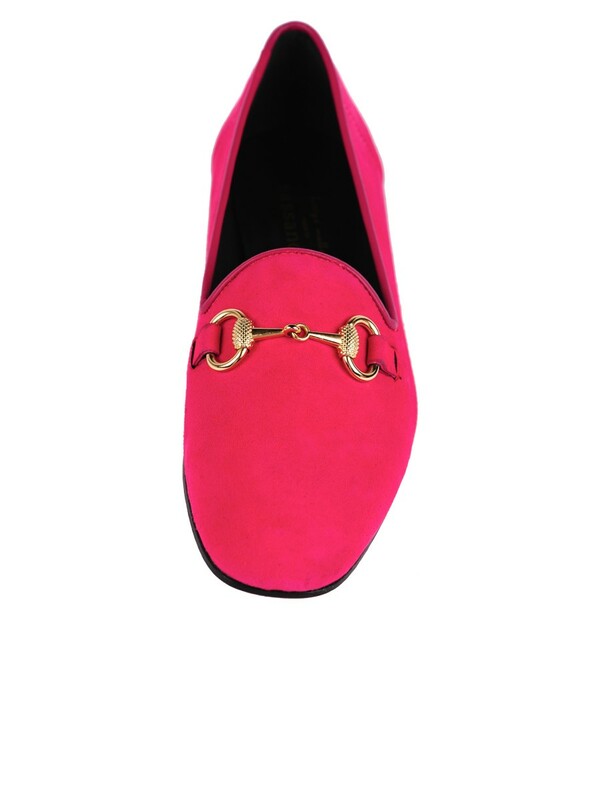 However if we can expect to see more hot pink suede goodness like these cute slipper loafers then expect to see her here again! These shoes are effortlessly chic. They would work so well clashed against some coloured denim or leather pants. Perfect for when you want to take a day off from wearing heels but still want to wear shoes that don't feel boring. 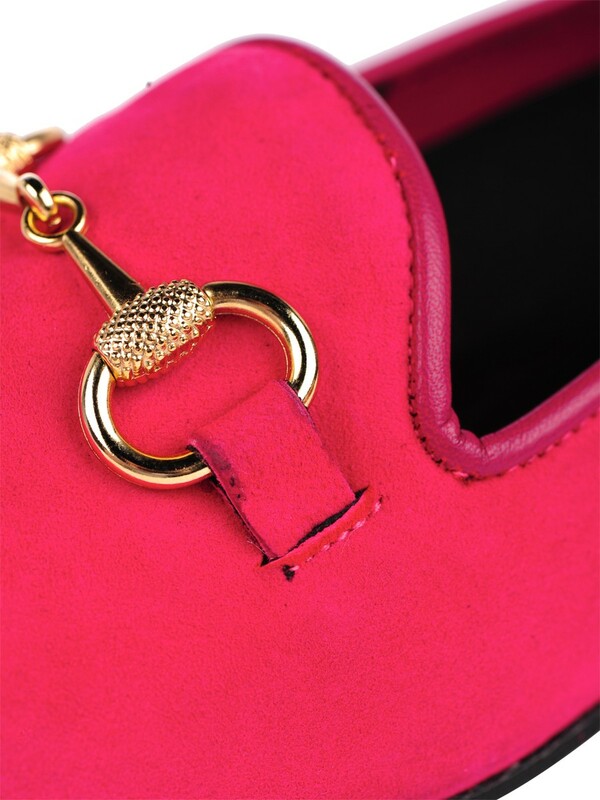 I would definitely wear them, and they are also reduced too - down from £145 to just £116. The close up detailing is pretty special. What do you think? Do you love your flat shoes? Do you love these?